Will the tariffs implemented by the U.S. and other countries affect your business? Food Engineering's Food Automation & Manufacturing Conference and Expo takes place April 8 - 11. Will you be there? What do you think is the most important trend affecting the food industry right now? How do you anticipate the economy will be in the coming year? What was the coolest thing you saw at Pack Expo? Are budget constraints at your plant holding back innovation? Which social media platform do you check the most often? What are you expecting the economy to do in 2017? 3D printing is changing the manufacturing world. Have you made use of this technology? 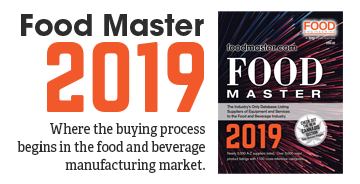 What is the biggest trend changing food manufacturing? What microbiological testing of raw ingredients do you perform to assure your products are food safe? How concerned are you Brexit will affect your business? Where could your facility’s pest management plan use improvement? Cast your vote in our poll! What area do you see Industry 4.0/smart manufacturing affecting your processing plant the most? What is most important to you when choosing a new site for your food/beverage processing operations? What’s your take on your operation’s cyber security? Check one that most best describes your operation. What issue about your current plant facility/site keeps you up the most at night? What is the is most important step you have taken to become ready for a FSMA audit? What are your thoughts about Tyson Food's proposed acquisition of Hillshire Brands? What was your favorite part of FA&M 2014? Share your thoughts about FA&M 2014! 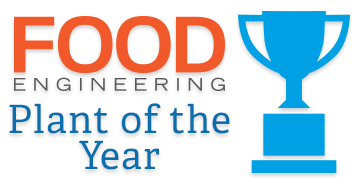 What was your favorite article in Food Enginnering in 2013? Let us know by casting your vote below. How does your operation find qualified new engineering staff? Has your operation designed/built any systems for alternative energy or recovering energy/water? What is the largest barrier to modernizing your operation's plant sanitation? What will drive automation projects at your company in the future?